BOSTON—C. Wickham Skinner, Harvard Business School’s James E. Robison Professor of Business Administration, Emeritus and an eminent international authority on production and operations management who is widely regarded as “the father of manufacturing strategy,” died on Monday, January 28 at his home in Saint George, ME. Throughout his long and illustrious career, Professor Skinner (Wick) influenced generations of students, scholars, and practitioners with his superb teaching skills and corpus of groundbreaking and often contrarian books and articles focusing on the revitalization of U.S. manufacturing. 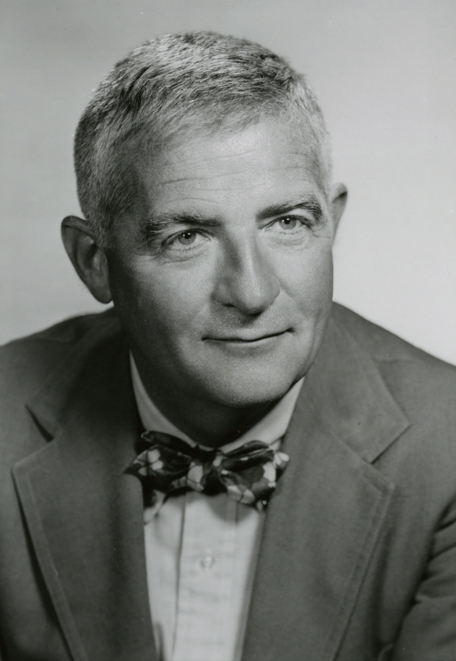 Skinner joined the Harvard Business School (HBS) faculty in 1960 and was named to the Robison professorship in 1974. He retired from the active faculty in 1986. His research, published in three books, ten case books, and numerous articles in Harvard Business Review (HBR) and elsewhere, examined the problems and opportunities of U.S. manufacturing companies, particularly the relationship between production operations and total corporate results. Later, he broadened the scope of his work to include human resource management, recognizing the growing implications of change in this area for manufacturing and industrial operations. Long before American industry realized that it was face to face with a global competitive crisis, Skinner saw early signs of deterioration and management failings on the factory floor. He was the first to investigate and write about the decline of the American manufacturing system of mass production, and to anticipate the manufacturing woes that U.S. industry would experience in the coming decades. He coined the term "focused factory," when he argued that complex and overly ambitious industrial factories were at the heart of the America productivity crisis in the late 1960s and 1970s. Attacking the conventional wisdom of the time, he argued that great marketing, elaborate control systems, and financial wizardry were not alone sufficient to enable a company to compete successfully against competitors that were really good at operations. In his seminal 1969 HBR article, “Manufacturing – the Missing Link in Corporate Strategy,” Skinner argued that top management could turn production into a competitive weapon by deliberately focusing each element of manufacturing policy (e.g., make or buy, quality system, production scheduling and control, work force management) on the competitive strategy of the company, instead of delegating often-critical manufacturing policymaking decisions to lower, technically oriented staff with a narrow view of the business. The article spawned a new field of study and resulted in a new paradigm for the operations function. “Wick Skinner was one of the first to recognize that manufacturing was an integral part of strategy,” said Robert Hayes, the School’s Philip Caldwell Professor of Business Administration, Emeritus, who counts himself among the many faculty members at HBS whom Skinner mentored. “He sounded the alarm that America’s industrial prowess was slipping, and that until management focused on the production function and invested in modern equipment, systems, and policies we would have difficulty reversing our manufacturing decline." “Wick Skinner’s basic conceptual framework has remained remarkably robust, despite the passage of time, and a very different world order for industrial competition,” adds Hayes. Skinner developed his notion of an operations strategy further in his acclaimed sequel, “The Focused Factory,” published in HBR in 1974, which urged manufacturers to focus each of their factories on a limited, manageable set of products and markets that could lower costs, especially over-head, and make each of the factories a competitive weapon. The concept was adopted by many companies, and became a regular topic in business schools around the world. “This notion, with its emphasis on simplicity, clarity, and low over-head, foreshadowed the more modern concept of LEAN manufacturing,” wrote Hayes, in a tribute to Skinner in the Spring 2002 issue of the Production and Operations Management journal. In 1978, Skinner authored Manufacturing in the Corporate Strategy, which summarized much of his work during the previous decade. A revised version of this landmark book, Manufacturing: the Formidable Competitive Weapon, was published in 1985. Nearly a decade later, when the Japanese industrial onslaught was intensifying, Skinner expanded his call for fundamental changes in “manufacturing structure and technology” in his influential HBR article “The Productivity Paradox” (1986). He warned that resolutely chipping away at waste and inefficiency—the heart of most productivity programs—is not enough to restore competitive vitality and that a focus on cost reductions actually diverts managers’ attention from more effective manufacturing approaches, such as adopting new process technologies, and making “major changes in the selection, development, assignments, and reward systems for manufacturing managers.” The article won the McKinsey Award for the best article in HBR that year. C. Wickham Skinner grew up in Cincinnati, Ohio. After graduating from Yale with a chemical engineering degree in 1944 (achieved in a war-accelerated 33 months), he served in the Army Engineering Corps and worked on the Manhattan Project at Los Alamos. Following the war, Skinner entered Harvard Business School, earning his MBA with distinction in 1948. He then worked for 10 years at the Honeywell Corporation — completing assignments in production, marketing, and finance — before deciding to pursue a doctorate at HBS, which he earned in 1961. He wrote his thesis on U.S. companies manufacturing abroad. Determined to see his views vindicated, he spent the next 5 years “underground,” trying to figure out how manufacturing could be managed not only to prevent failures, but also to create competitive advantage. In 1968, the year after he was awarded tenure at HBS, Skinner developed the conceptual framework that he introduced in the Missing Link article. While making seminal contributions through his pioneering research, Skinner also left an indelible mark in the classroom. His teaching roster included the required courses Production and Operations Management, Manufacturing Policy, and Advanced Production Problems (APP), which received the highest student ratings and was always over-registered when led by Skinner, despite being known for having the heaviest workload. He created and taught two highly successful second-year electives, The Operating Manager, and The Manager and Personnel. In collaboration with members of the School’s Organizational Behavior faculty, he developed a new required course on Human Resource Management. Skinner combined his teaching talents with an outstanding record in administration. He was director of international activities at HBS from 1967 to 1970. In addition, from 1974 to 1977, he was associate dean with responsibility for the School’s MBA program. From 1971 to 1974, Skinner was chairman of Operations Management area (now Technology and Operations Management), which experienced a remarkable renaissance during his tenure. His abilities and leadership qualities have been recognized not only at Harvard (he received the Business School’s Distinguished Service Award in 1996), and in the POM community, but in the larger academic community as well. He was elected a Fellow of the Academy of Management in 1976. In 2002, the University of Ghent awarded him an honorary doctorate. In addition Skinner, served on the boards of more than a dozen organizations, both profit and non-profit, including Wilevco Corporation, Dynamics Research Corporation, Helix Technology, Inc., Copeland Corporation, Scientific Atlanta, Holmberg Electronics, Chronar Corporation, Operations Management Association, LE Shaw, Audubon Expedition Institute, United Timber Corp., and Bath Iron Works. Upon retiring from Harvard Busines School at the age of 60, he and his late wife Alice moved into the house they had built in Tenants Harbor, Maine, where they had spent summers for many years. Retirement was anything but quiet for manufacturing strategy “guru.” “The world is too full of interesting and important problems to allow much sitting back,” he said in a 2013 interview. He continued to write, advise CEOs, and remain active on a number of corporate boards. He spent ten years as a trustee of the University of Maine System, a network of public universities in the state. While keeping one foot in academia, he also directed more energy to some of the causes he felt important – education, arts and the environment – holding leadership roles in non-profit institutions focusing on these areas, including the renowned Farnsworth Museum in Rockland, Maine, and the Natural Resources Council of Maine. During retirement, Skinner learned to fly his own plane. An avid sailor, he also spent more time plying the waters in one of his many boats, including his flagship 40-foot sailing cruiser Calliope, named after one of the nine Muses in Greek mythology. He played tennis three times a week and, as an amateur artist, enjoyed applying paint to canvas.